We had a great hol­i­day sea­son here at Black Brook Farm. By Thanks­giv­ing the farm was pretty much shut down for the win­ter, and we were all able to take a break and spend time with our fam­ily and friends. We read, worked on projects that had been pushed to the side, watched the movies we’d been want­ing to watch, ate a lot of amaz­ing meals and even slept in! The one thing we did not do was blog, as I’m sure all of you loyal fans have noticed, but now that it’s the new year and all the Christ­mas candy is gone, we’re gath­er­ing up seed cat­a­logs and get­ting back to work. Up until now, every month has been a new adven­ture, with new excite­ments, chal­lenges and sur­prises. But we’ve finally come full cir­cle and are back in the win­ter plan­ning stage (just like when this blog was born a year ago). 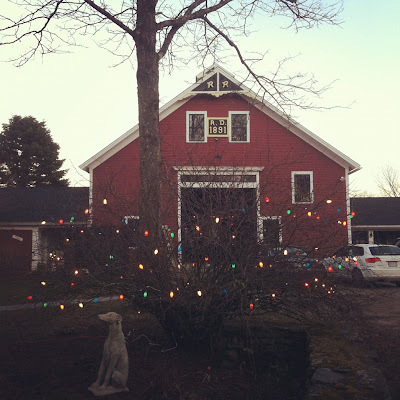 This year has taught us a lot, and we have a much clearer pic­ture of what we want Black Brook Farm Grow­ers to be. Get orga­nized: I’ve said it before and I’ll say it again, farm­ing requires A LOT of orga­ni­za­tion. That means tons of spread­sheets, lists and records so that you can remem­ber EXACTLY what worked and what didn’t. Every farm is dif­fer­ent, so as help­ful as books and other farm­ers can be, at the end of the day it’s impor­tant to learn from your own land. Orga­ni­za­tion is not always my strong point, but this year that’s going to change. There’s some great online soft­ware out there for small organic farms, this year I’m going to try using AgSquared, which I learned about in a work­shop at last years sum­mer NOFA conference. Take risks: We want to keep stretch­ing our­selves and learn­ing new things. That means exper­i­ment­ing and being cre­ative, and not being afraid to try some­thing that we think might work. There’s a lot of room for cre­ativ­ity in farm­ing, which is one of the rea­sons I love it so much. Make money: I know it’s not classy to talk about money, but BBFg is a busi­ness, and it’s impor­tant for Dave and I to prove that we can make a profit doing this work. Being able to cre­ate a finan­cially viable busi­ness not only means that we can con­tinue farm­ing, it also means that we can show other would-be farm­ers that this is a dream worth pur­su­ing. 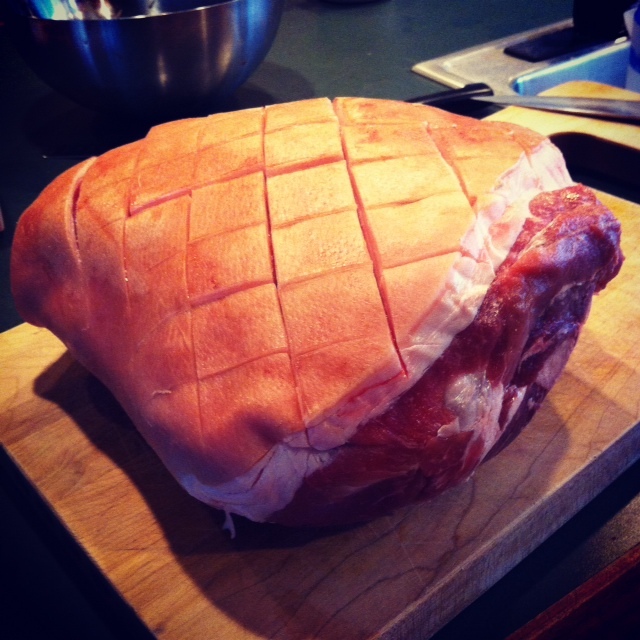 This last year we saw, and were inspired by, a lot of awe­some small farms that were finan­cially sta­ble. We’re con­fi­dent that it can be done, but that doesn’t mean that it’s easy. Effi­ciency: We need to use our time and resources as effec­tively as pos­si­ble to min­i­mize waste on the farm. (This is Dave’s res­o­lu­tion and it ties in nicely with get­ting orga­nized and mak­ing money). Cre­ate a com­mu­nity around the farm: This year, as you may or may not know, we’ve decided to focus entirely on CSA, or Com­mu­nity Sup­ported Agri­cul­ture. That means that instead of going to farmer’s mar­kets, or hav­ing a farm stand, we are going to have a lim­ited amount of mem­bers that buy into the farm at the begin­ning of the sea­son, and receive a weekly stipend of veg­eta­bles as a result. Not only is CSA a great way for to help meet all of the res­o­lu­tions I’ve already listed above, it also means that we’ll have a com­mu­nity of peo­ple who are inter­ested in local food com­ing to the farm every week. We’re excited to share the farm with our mem­bers, and to use the farm as a space for com­mu­nity events. We’d also like to have work­shops at the farm to teach our mem­bers, and the larger com­mu­nity, about cook­ing, butcher­ing, pre­serv­ing and more. These are just a few of my res­o­lu­tions. I’m sure over the next cou­ple of weeks, as we begin plan­ning, there will be many more. Before I say good-bye (and get back to all that work I’ve been talk­ing about), I’d like to men­tion one excit­ing Decem­ber devel­op­ment, our ewes have been bred! 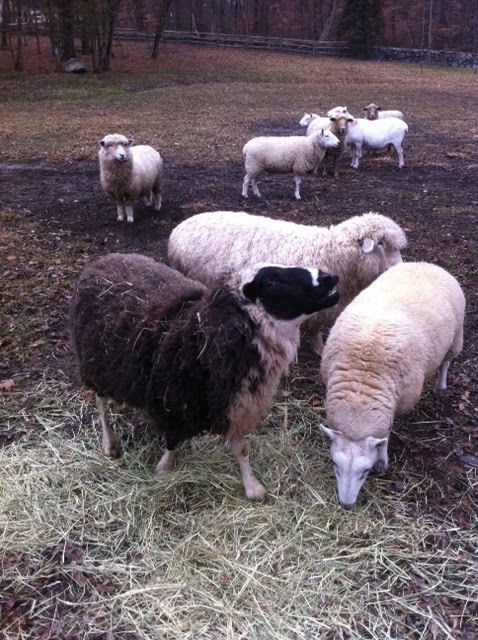 Eli, a Finn ram, came and stayed at Black Brook and spent some qual­ity time with our sheep. He just went back to Bel­mont and we miss him already. 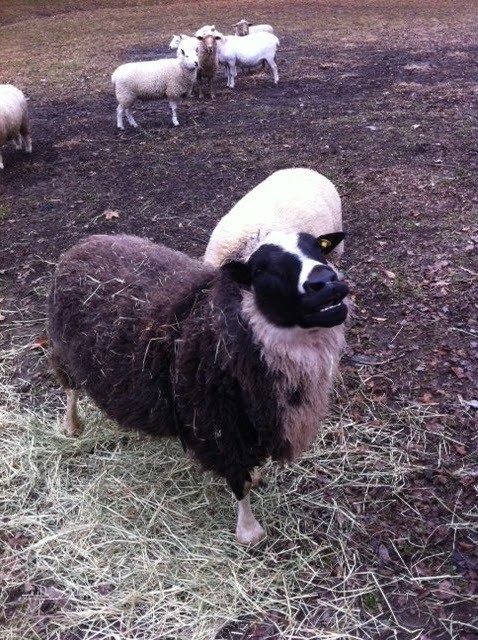 He’s a great look­ing ram, and was very sweet with the girls. 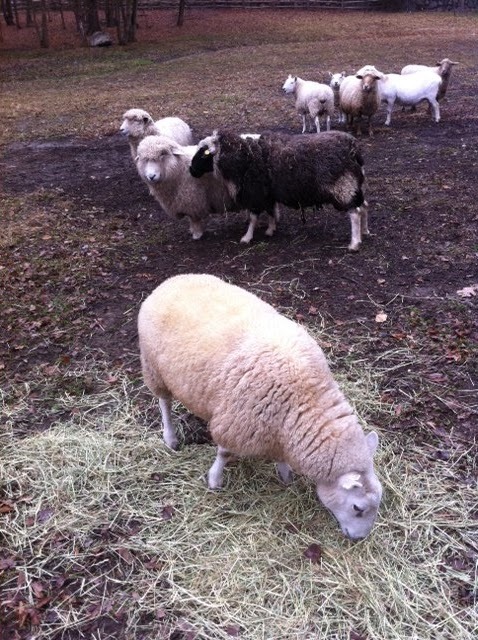 We are cross­ing our fin­gers that the ewes are all preg­nant. They should lamb some­time in late April or early May. Eli. We’re hop­ing some of our lambs will have his coloring. We’re look­ing for­ward to a great 2012 season! « SIGN UP FOR OUR 2012 CSA!